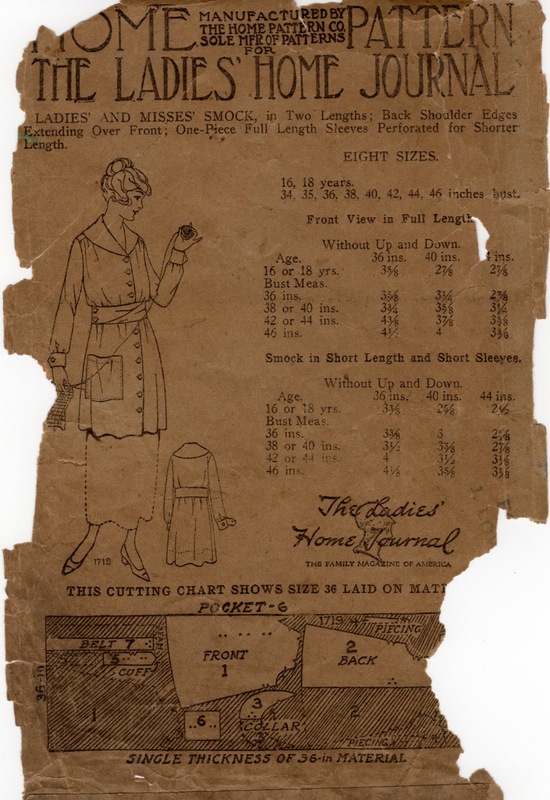 LADIES' AND MISSES' SMOCK, in Two Lengths; Back Shoulder Edges Extending Over Front; One-Piece Full Length Sleeves Perforated for Shorter Length. This is a nice smock. The shawl collar and belt add a stylish touch, and you can stash your knitting in the big patch pocket. The quality of the pattern envelopes for Ladies Home Journal patterns at this period is uniformly dreadful though the pattern tissue is fine. 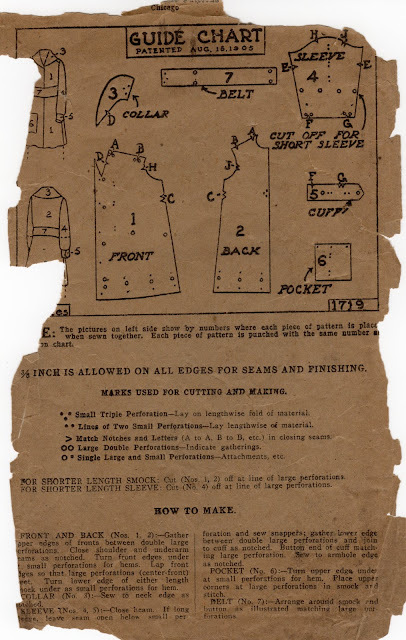 This unprinted pattern appears to have been used. No separate instruction sheet was included. There was an extensive campaign to knit for the soldiers during World War I, so the illustration would have resonated with women. March 2, 2013 - updated and added scans of pattern envelope. I love that smock! Wouldn't it be pretty and useful in a linen? And the color of the linen would have to be something like "eau de nil" or "ashes of roses" or perhaps even "london snuff." 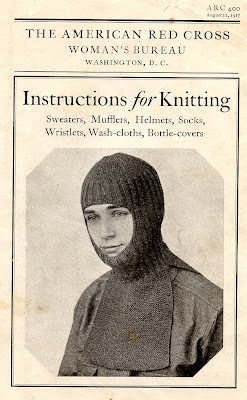 Knitted garments of this era are remarkably primitive, even for civilians. I'm trying to figure out which of my nephews would be likely to wear a hand knitted balaclava if I gave him one for Christmas. I love that smock too! Yes! The smock in London Snuff and the collar in cream, with a little embroidery to match the smock.